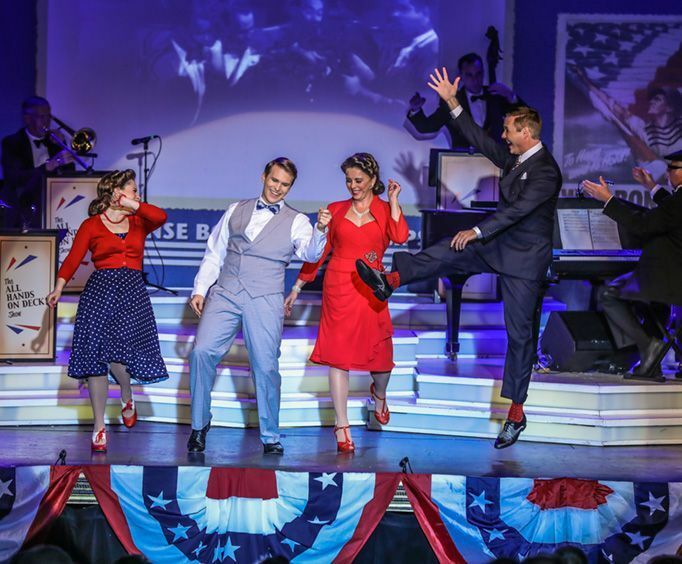 For a patriotic, heart-warming experience in Branson, MO, check out the award-winning “All Hands On Deck! 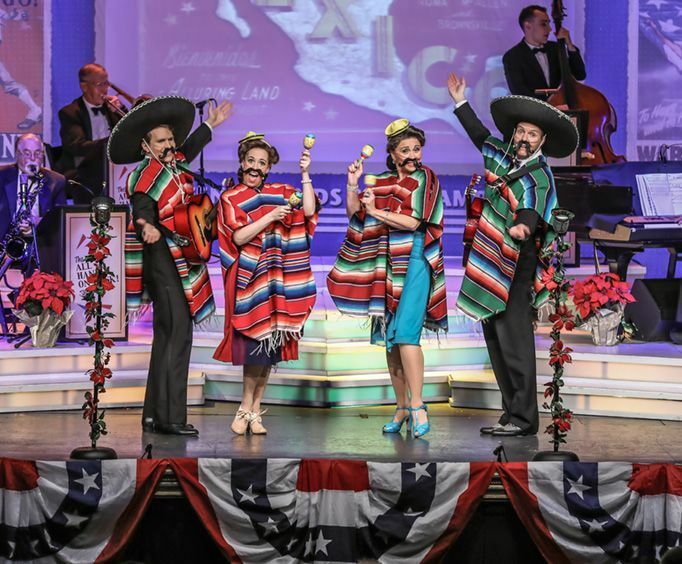 Show.” Guests are sure to enjoy this authentic Roadshow & Radio Broadcast from 1942. It's sure to impress as it has been dubbed 'America's #1 Patriotic Show' and has a five-year national tour to its name. 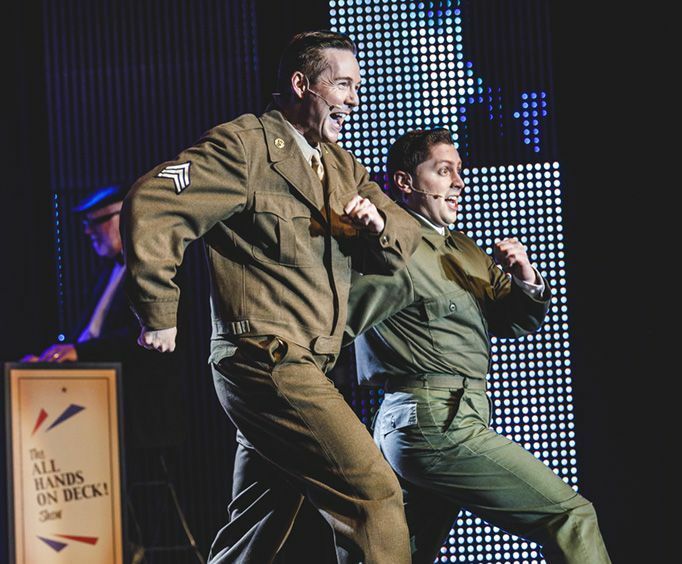 The show encompasses the personality of the 1942 era, featuring Broadway veterans Jody Madaras and Valerie Hill, a NY cast, the rich sounds of Branson’s Largest Live Orchestra, classic commercials, tight harmonies, Broadway-style tap dancing, and 42 of the greatest American songs ever written - not to mention a full-circle patriotic salute to the American way of life! What is included in the admission price for All Hands On Deck! Show? Approximately how long is the All Hands On Deck! Show? Andy Williams Performing Arts Center. Enjoyed the show but it was too loud.